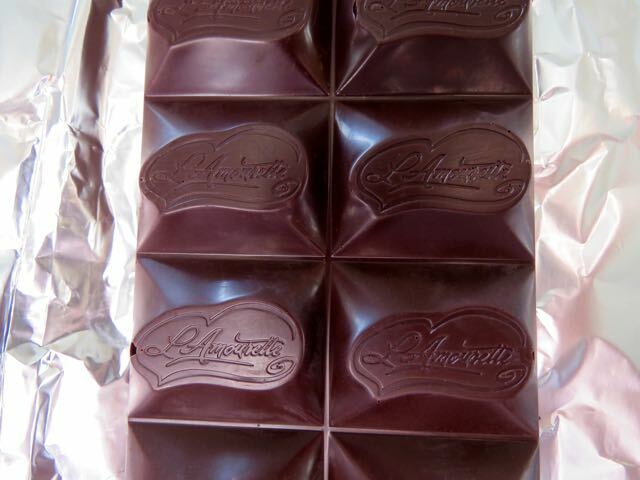 L'Amourette Chocolat LLC - Trinitario Colombia Arauca 80% bar - Oct.
Bienvenidos (welcome) to the first day of South American Chocolate Weeks. We're kicking off this series with a single origin Trinitario Colombia (Arauca*) 80% bar. 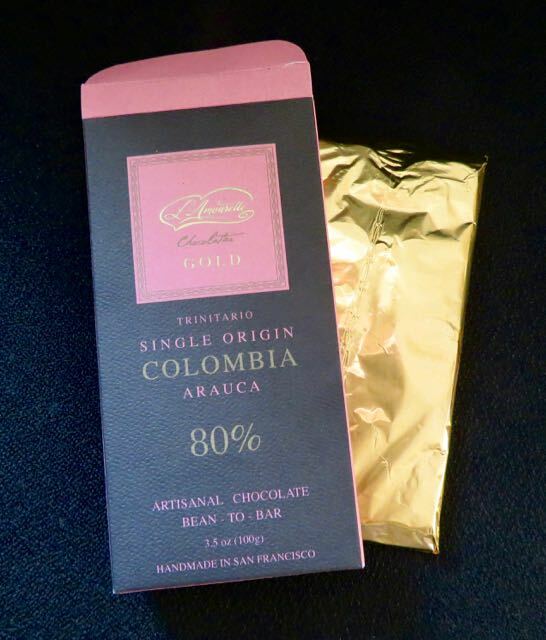 Hats off to the chocolate maker (Andre V.) at L'Amourette Chocolat LLC (San Francisco, CA) for showcasing the complex flavors of these Colombian cocoa beans. 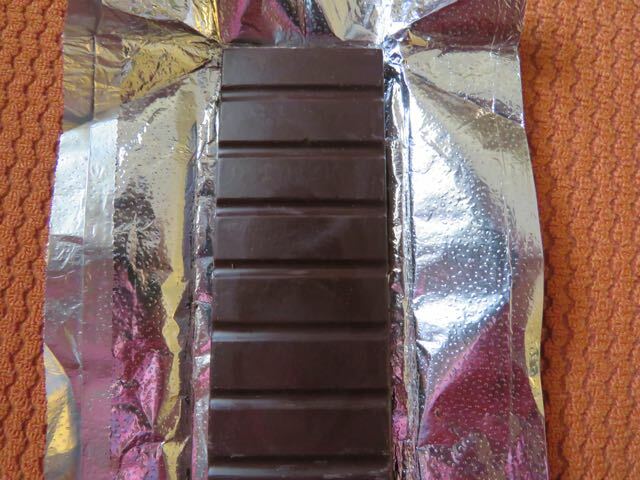 Today's bar was a very multi-layered chocolate. Almost every segment of the chocolate tasting wheel was represented in this 80% dark bar. The first (aroma) impression was: dark chocolatey chocolate with citrus and light dried fruit (pear). The second impression: a dark chocolate aroma with hints of fresh almost floral green (green plants, green tea, fresh green fronds) and light spice. The tasting arc also included chocolatey, nutty and a faint hint of jungle funk earthiness. The only "missing" artisanal flavor traits were red berries and coffee; but we haven't finished re-tasting this bar yet. 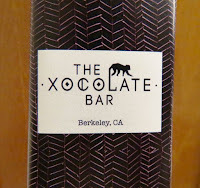 Clearly chocolate tastes different, depending on what else you might be eating or drinking; however even adjusted for this factor, this was a relatively smooth blend of interesting elements, particularly for an 80% bar. *The Province of Arauca shares a border with Venezuela, and the Arauca River is located on the border between Colombia and Venezuela. The cacao beans for this bar may be a mix of Criollo and Trinitario and were grown on a small farm on the banks of the Arauca River. Welcome to Day #14 of Chocolate and Halloween wEEKs. 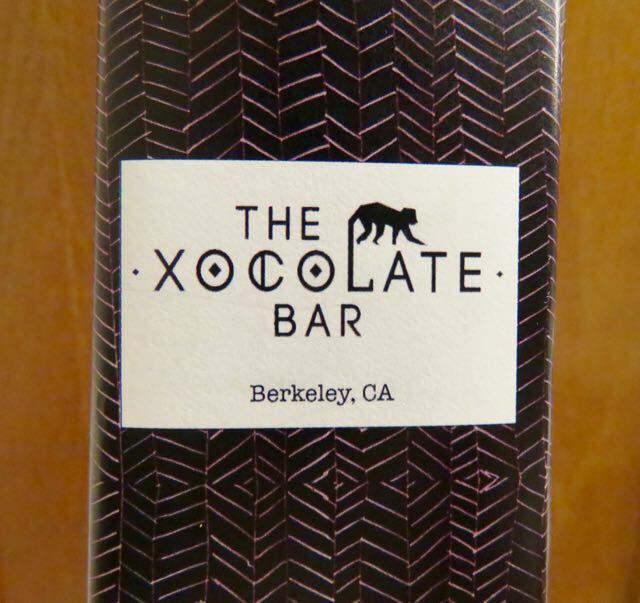 Today we've ratcheted up the cacao percentage scale to the extra dark level; and we sampled a 90% Cacao Extra Dark Chocolate bar from The Xocolate Bar (Berkeley, CA). 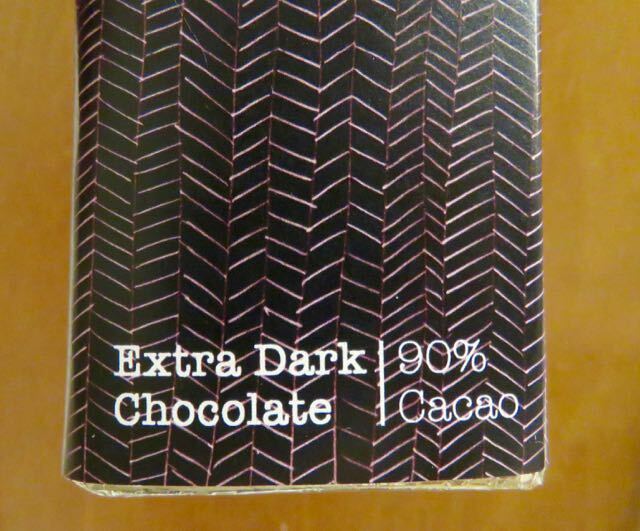 The organic, fair trade dark chocolate contained a touch of added cocoa butter, sunflower lecithin and vanilla; but otherwise was without other flavor inclusions. 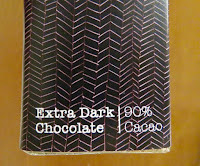 For those who like dark chocolate, but who are a bit frightened of ultra-dark bars, this would be a good one to try. It had a creamy, buttery melt and texture and a very smooth, balanced flavor for a 90% Cacao bar. Not so scary after all. May you all have a Happy Halloween next week. By then we'll be covering chocolate made from South American origins.